On Monday, 11th March 2019 Parliament Square was decked out with the flags of the 53 nations of the Commonwealth as HM The Queen and other senior Royals attended ‘A Celebration of the Commonwealth’ at Westminster Abbey. The Commonwealth is an organisation that is home to 2.4 billion people, representing some of the world’s largest, smallest, richest, and poorest countries. A number of Commonwealth nations are represented within our own Church membership at Methodist Central Hall Westminster and we were delighted that an invitation was extended to Revd Tony Miles, Deputy Superintendent Minister, to represent MCHW formally at the service. The Commonwealth Service is organised by The Royal Commonwealth Society, and is the largest inter-faith gathering in the United Kingdom. The theme for 2019 was ‘A Connected Commonwealth’. HM The Queen wrote, ‘Commonwealth Day has a special significance this year as we mark the 70th anniversary of the London Declaration, when nations of the Commonwealth agreed to move forward together as free and equal members. The vision and sense of connection that inspired the signatories has stood the test of time, and the Commonwealth continues to grow, adapting to address contemporary needs’. The theme encouraged collaboration to protect natural resources and the environment – particularly, with the adoption in 2018 of the Commonwealth Blue Charter, the ocean which connects so many member countries. 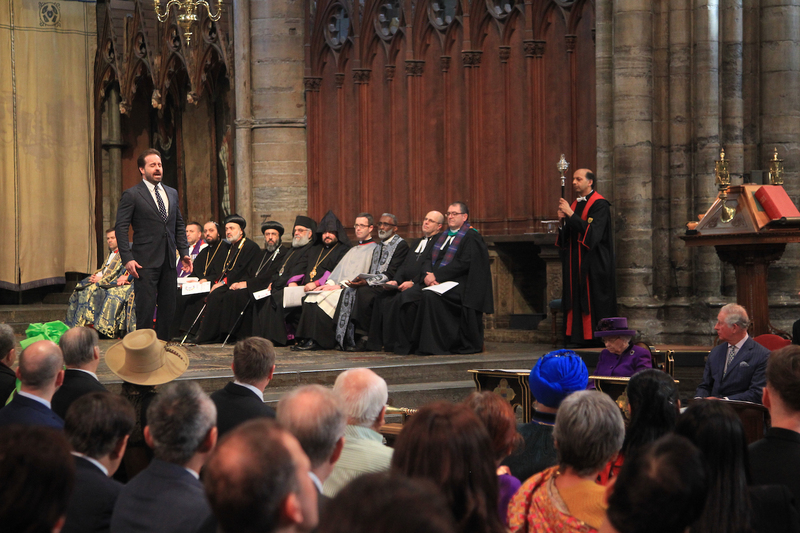 The Service was broadcast live on BBC One and across the BBC World Service. It can also be viewed on BBC iPlayer.